Gel Refrigerant Packs 0ºC (+32ºF) are an economical alternative to wet ice commonly used as cold packs in conjunction with insulated shippers for transporting laboratory specimens. Enclosed in a durable 4.1 mil polyethylene film, gel refrigerant packs provide reliable refrigeration for safe transport without leaks or spills which would contaminate your product. Choose from a variety of sizes. 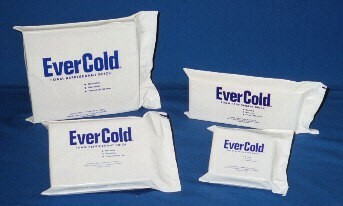 EverCold® Foam Bricks consist of an absorbent, rigid open cell foam brick and a special aqueous solution that freezes fast and maintains a long lasting cold. 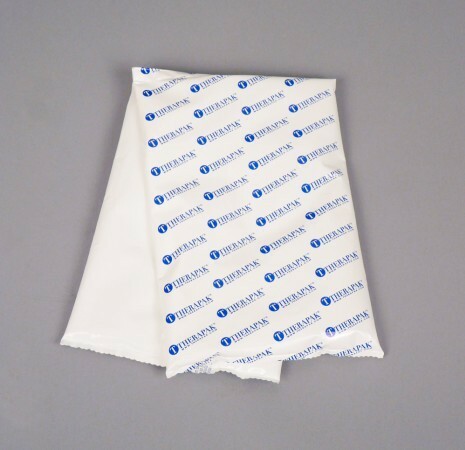 Tough, durable recyclable polyethylene wrappers with heat-welded seams ensure maximum resistance to punctures, tears and splitting. EverCold® Foam features a consistent, uniform structure and a non-toxic, non-caustic composition. Brick shape is ideal for lining square and rectangular shipping containers. 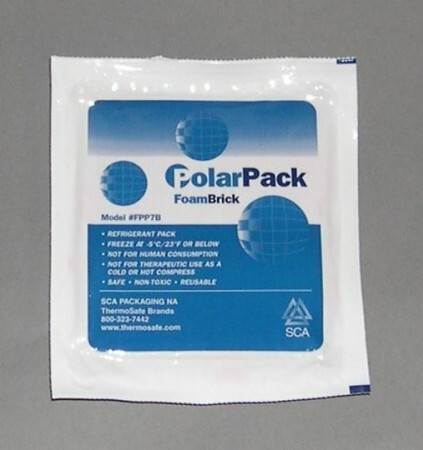 PolarPack® Foam Bricks are comprised of semi-rigid foam that never changes shape during freezing or transit. This material allows Foam Bricks to maintain their designated packing configuration throughout the entire duration of transit. The Foam Brick provides non-toxic protection for shipping temperature sensitive materials and is reusable. The gel wrap has been used as a wrap-around barrier to insulate valuable samples such as clinical trial specimen tubes or other evacuated blood tubes and serum transport vials. No preconditioning is necessary due to the gelatin type mass that is concealed inside the outer polyethylene film producing an insulating layer of protection between extreme external temperatures and the specimen transport bag holding the specimen tubes. To use, lay the gel wrap on a flat surface and place your transport bag containing the specimen tubes and absorbent material on one half of the gel wrap. Fold the other half of the gel wrap on top of the tubes and place into a suitable insulated shipping container. 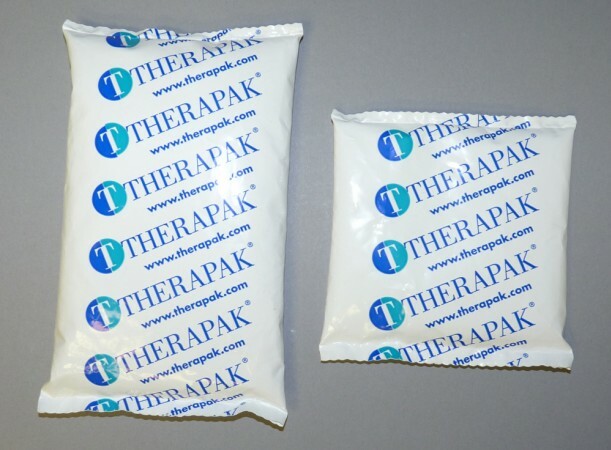 The gel wrap can be used in conjunction with the Therapak Insulated Envelope (see #56424) by inserting the gel wrap into the envelope and placing the envelope into a shipping box for transport. 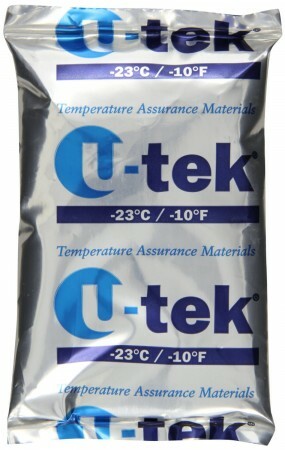 U-tek®’s -23ºC (-10ºF) have superior protection for shipping temperature-sensitive materials while maintaining critical temperatures of serums, test samples, live or frozen tissues, organs, and pharmaceuticals for extended periods. The package is laminated, has a metallized film exterior that provides an excellent heat barrier, and is capable of resisting punctures.